The 2016 presidential elections marked one of the most overt and dangerous cases of meddling in American politics by foreign actors. 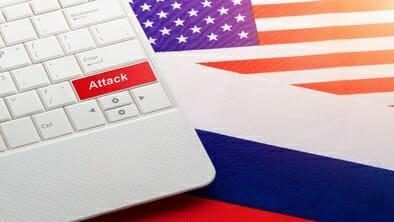 With the impending threat of interference in the 2018 midterm elections, US officials and intelligence agencies are preparing to fend off a similar attack on democracy. There have already been reports that Russia is potentially gearing up for another round of meddling which could leave the US exposed and the elections compromised. With an overt threat looming, what can the US government and intelligence agencies do to prevent another potentially embarrassing and harmful scandal that would undermine the democratic process? This includes online and offline defenses, as well as increasing education and awareness of the issue, although the fix is not so clear-cut. Discover the defenses agencies and officials are attempting to erect, and how effective they might be. The story of Russian interference in the 2016 US presidential election has taken on a life of its own since it was first reported. From a bevy of major reports and bombshells to a wide-ranging investigation into the Trump White House’s connections to Russian actors, few aspects of American politics have been left untouched by the news of meddling in one of the US democracy’s most important components. However, with the elections now nearly two years past and a new vote coming up in 2018, fears are reemerging among the intelligence and political communities that the same actors who created problems in 2016 are preparing to do worse in this year’s midterm elections. The fears are also not unfounded, as there was unambiguous evidence of meddling in 2016, and new reports are constantly emerging about the actors involved, the scope of the operation, and how it may occur again. There are still important questions to be answered, though, and the implications of the ongoing investigation, as well as the preparations being made, could drastically impact the election. To better understand what is being done, however, a little background can help make the current situation easier to understand. What Happened During the Presidential Election? The election of Donald Trump as President of the United States was fraught with accusations of interference by foreign actors—especially Russians—that potentially swung the election in the Republican candidate’s direction. While the full extent of meddling hasn’t been revealed, it’s obvious that this was a highly systematic and advanced effort. The Congressman makes an important distinction, and shows the main way hackers tried to affect the outcome of the vote. According to Facebook, which has been a central actor in the investigation as it was a major disinformation hub, a Russian-linked internet research firm spent over $100,000 on displaying nearly 3,000 ads on divisive, hot-button issues. Moreover, the company registered nearly 470 fake accounts dedicated to spreading this disinformation, in what is just the tip of the iceberg. Twitter recently sent shockwaves when it shut down more than 50,000 accounts involved in the spreading of fake news and misinformation. The true impact of this coordinated campaign is unknown, and though many suspect the eventual outcome was not noticeably impacted, it does reveal a blueprint for how the midterms may be targeted. Both Facebook and Twitter have owned up to their part in the matter, and have been active in better policing social accounts that are clearly pumping out disinformation or those that may be linked to known hackers or shadowy groups. Even so, many observers have noted that attacks could be more direct, targeting the electronic voting machines many states and counties are increasingly adopting. One of the main issues is that while the federal government makes recommendations, implementation of security practices is a state-by-state affair, and many have fallen well behind. States like Virginia, Colorado, and Rhode Island have been proactive in improving their systems to prevent a hack. Others, like Georgia, South Carolina, and New Jersey, are still using systems with known vulnerabilities. More importantly, Russian actors, despite the government’s best efforts, will likely attempt a similar disinformation and influence attack to divide the vote and support those candidates who are more likely to have a sympathetic view of key topics. In total, there are 5 states using digital-only voting and 10 that have moved to a hybrid of paper and digital, while others have more secure systems. Even so, these 15 states are the most vulnerable, as their systems are incredibly difficult to audit and properly identify any nefarious activity. There have already been 3 separate bills on the issue introduced to Congress, though neither house has held a hearing on the matter, and President Trump has shown a reluctance to admit that there was any interference in his electoral victory. The problems, however, are not going away. 41 states are operating voting registration databases that are woefully obsolete and at least 10 years old, while reports have shown voting equipment vendors have taken a piecemeal approach to offering solutions. Despite a surplus of $400 million left over from a voting act passed in 2002 by Congress, those funds have been left unappropriated and are still not being allocated towards any improvements. Not all hope is lost, though. There are several senators and representatives, as well as other government officials making headway into attacking the problem. The recent indictment of 13 Russian agents by special counsel Robert Mueller, as well as a string of high-profile charges against former White House and Trump campaign officials, offer hope that the root of the problem is finally being addressed. A few weeks ago, Democrats in Congress introduced a $1 billion legislation to overhaul and boost US voting system cybersecurity. While it must still pass through both houses and be signed by President Trump, it’s a major step in the right direction. There is some panic starting to emerge among US officials and state representatives. Although progress has been made, some believe it’s too little, too late, and are wary of the impact of midterm interference for the future of US democracy. While Congress is attempting a solution, it falls on regular people to be on the lookout when on social media and online to recognize fake news and disinformation, and to protect themselves from it. It remains to be seen if meddlers will continue their overt campaign, and if they will face consequences, but irrespective of the developments, it is shaping up to be an interesting election period.